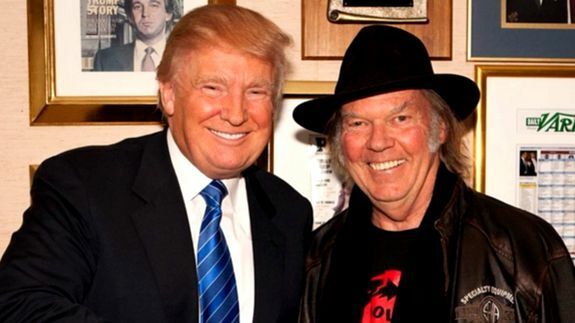 Donald Trump calls Neil Young a 'hypocrite' after music controversy - trendistic.com: ever tried. ever failed. no matter. try again. fail again. fail better. Trump also tweeted that Young visited him seeking funds for “an audio deal,” presumably in 2014, before the launch of Young’s PonoMusic service and PonoPlayer. The photo appears to include a stock-sale agreement, though it wasn’t clear whether any funds were exchanged and Young’s spokesman declined to comment.